Building a no dig garden was high on my agenda once my beautiful Greenlife raised garden planter arrived. Finding the perfect spot in my garden where it’s sheltered and I get 6 to 8 hours of sunlight was my priority. When I had decided where it was going, I spent some time trimming overhanging branches back and weeding the bed to give my planter the perfect spot to sit in. Building the bed was a breeze. 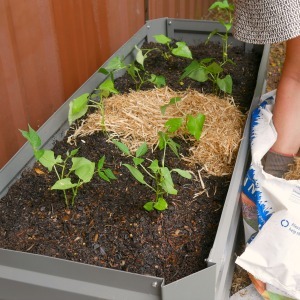 Greenlife makes it really easy, supplying the raised garden bed with 32 screws and nuts that just need to be put in place. It was so easy even a child could do it. Once I had put it together, I placed the bed into my perfect spot. 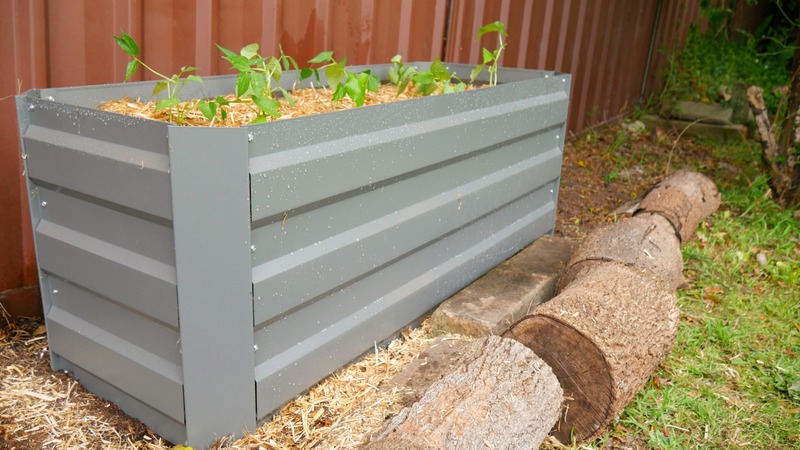 The no dig garden principle essentially encourages you to create an environment where all the plant’s nutrients are layered inside. 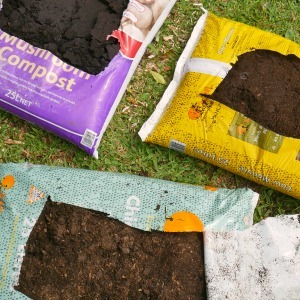 Just as with making compost, you want to make sure that you have both carbon and nitrogen in the layers. These will then break down as the microorganisms go to work turning your garden bed into plant nutrients your food garden will love. Over time, worms will come into your bed to further improve this process. I made sure that as I dug my compost out of my compost bin a few worms came out with it but even if you buy your compost, be assured that the worms will find your raised garden planter and make it their home. 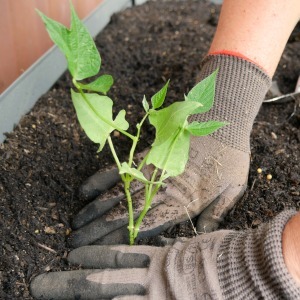 Ever wondered how to build a no dig garden? Inside the base of the raised garden bed, I laid thick layers of newspaper, overlapping to prevent weeds popping through. I used a hose to wet the newspaper thoroughly. After the newspaper, the first layer I put in was roughly 8cm of organic compost. I make this myself but if you don’t have a compost bin you can purchase this from your local nursery. The next layer was dry leaves that I raked up from around my garden. 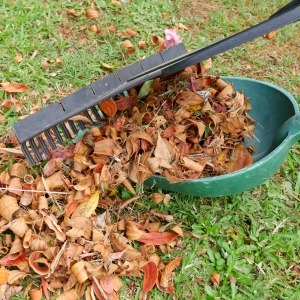 This is such a good way to dispose of leaf litter and will provide fantastic carbon into your soil. If, like me, you don’t have 8cm of leaf litter, top this up with pea straw. On top of the straw, I then threw in some vegetable scraps that had been destined for my compost pile. Only use fruit and vegetable peelings and avoid foods like kiwi, onion and citrus, just as you would with compost. I had a lettuce that had bolted in my vegetable patch that also got thrown in. 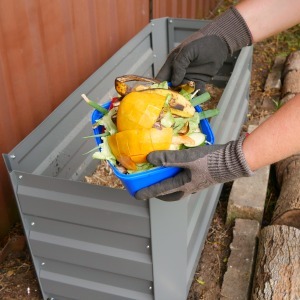 Adding a mixture of vegetable scraps adds a more diverse nutrient mix to your compost. If you don’t save your vegetable scraps don’t worry. 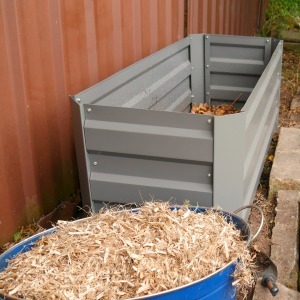 Just use an equal part mix of cow manure, chicken poo and mushroom compost built to 8cm. Keep alternating the pea straw and cow manure, chicken poo and mushroom compost mix, finishing with the pea straw once you are about 15 cm from the top of the bed. Add a thick layer of organic compost as the last layer. Again, if you don’t make this yourself you can buy a good quality one from your local nursery. It is important that you plant into this and not the cow manure, chicken poo and mushroom compost mix. 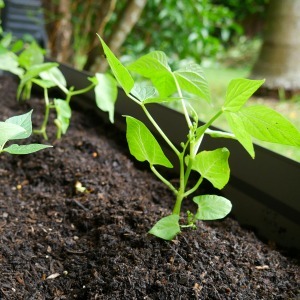 The reason for this is that manure needs to age, it is too strong to be planted into immediately and can damage your seedlings but once it is broken down over time, it adds many nutrients to the soil. I planted green beans and dwarf butter beans into my bed. Once they were in, I mulched well with the pea straw, making sure that I left a gap around the base of the plants. Then I gave it a good watering in, ensuring that I watered at the base and not the leaves. As the level of my garden bed drops over time, I will just top it up using the layering technique above. Now I look forward to my beans growing in a wonderfully nutrient environment and the meals they will become. 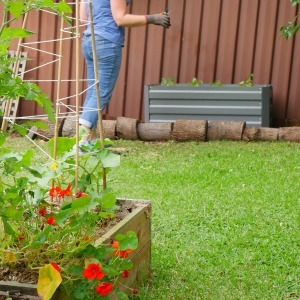 Check out the full range of garden beds, planters and greenhouses at Greenlife.